I like viewing the movie adaptations of the novels I have enjoyed. Everyone agrees that the movie version no matter how good is never as good as the book, yet the movie adaptation can be very good of its kind. Movie-making and novel-writing are distinct art forms. It may take upwards of eight hours to read a book and two hours to watch a movie. The screenwriter has to coalesce the essence of a novel into a 150-page film script. The general measure is that one page of script equals one minute of footage. 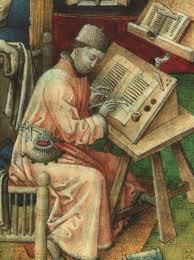 The artistry of the film maker transfers into cinematography the essence of a book that may be 400 pages long. In so doing, a variant on the theme is produced but not the total vision of a novel. Something new is born. The novel inspired the film but obviously is not its visual incarnation because it is impossible in the time frame of a motion picture to capture every dramatic scene. So it isn’t surprising that readers are often disappointed with the film adaptation. Because the film and a novel are different genres, I try to read the book before I ever see the movie. The very process of writing a script for a film adaptation in itself is a separate art form–the first step the book’s realization on the screen. I prefer to visualize first how I see characters in my mind’s eye rather than how some director visualizes the characters, action and scenes. The dearth of dialogue in modern America film annoys me. Foreign filmmakers do a better job with dialogue while Americans seem to focus on cinematography, using facial expression and body language to capture character. 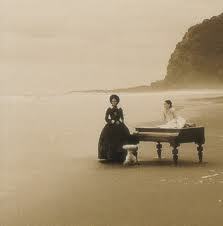 One of the best films I have ever seen is The Piano because Jane Campion wrote the script and directed the film. It is a rare film that sticks in my mind so long and poignantly as this one does. I have watched it more than a few times. In your mind what are the memorable movies of all times? Are they adaptations or original film scripts?